Windows Central wants gift one of their fans with brand new laptop! To enter in their latest Dell XPS 15 Laptop Giveaway grab your free entries by following few simple steps listed down below! The world’s smallest 15.6-inch laptop, the Dell XPS 15 stands apart with its stunning 4K UHD display and razor-thin profile. It’s the only PC with a 15.6-inch InfinityEdge display, a virtually borderless 15.6-inch screen placed into the body of an 14-inch laptop. 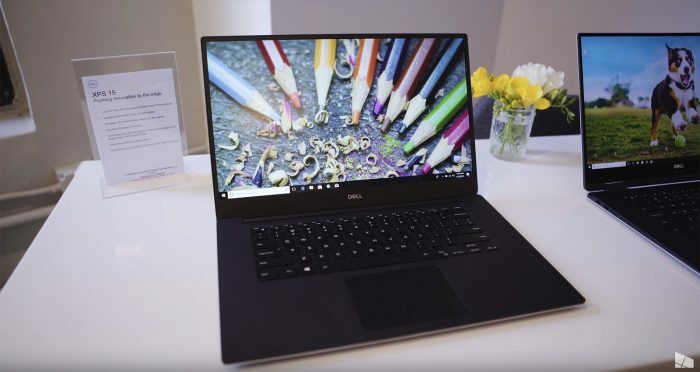 Plus, the XPS 15 is only 0.4 inches thin and weighs just 4.5 pounds, making it the lightest performance-class 15-inch laptop on the market. It also comes with NVIDIA GeForce GTX 1050 graphics that deliver extremely smooth, cinematic gameplay. The XPS 15 delivers an incredible 8 million pixels on its 4K Ultra HD display—4 million more than Full HD—for a view that’s always eye-poppingly lifelike. Get an amazing gaming experience with NVIDIA GeForce GTX 1050 graphics, the most advanced ever created with three times the performance of previous generation GPUs. Intel processors deliver unprecedented power and responsiveness, long battery life, and built-in security for seamless experiences on tablets, 2 in 1s, laptops, and desktop PCs.